Right in the middle of a meeting with international project and business partners, and one of the German participants is struggling to come up with the correct English equivalents for the terms such as “Berufseinstiegsbegleitung”, “Einstiegsqualifizierung” and “Ausbildungsbausteine”. Fortunately, help is at hand in the form of a new brochure issued by the Federal Institute for Vocational Education and Training (BIBB). The aim of the German-English Glossary of Vocational Education and Training Terminology is to act as a valuable practical aid for VET experts by assisting with the understanding and translation of specialist texts and thus facilitate communication at an international level, an aspect of work that is becoming increasingly important. 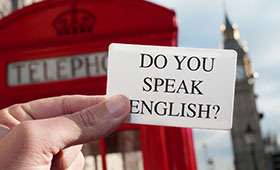 Specialist terms often do not have a direct equivalent in other languages. For this reason, the glossary also contains proposals for analogous translations and paraphrased terms. It is based on the many years of expertise the BIBB language service is able to offer and will be further developed on an ongoing basis. Definitions are also provided in order to facilitate comprehension of the terminology presented. Glossaries drawn up by the European Union and German institutions are included in the collection, and users are offered a summary of the English language websites of VET institutions used to help develop the translations. “Vocational education and training terminology in German and English – a glossary for VET specialists” is available for download at www.bibb.de/terminologie and can also be ordered as a brochure. By the way, the correct English language term for “Berufseinstiegsbegleitung” is “career entry support” or “career entry programme”. “Einstiegsqualifizierung” is translated by “introductory training” or “introductory qualifications” and “Ausbildungsbausteine” are “training modules”. Reprint free of charge – voucher copy requested.